We’d love your help. 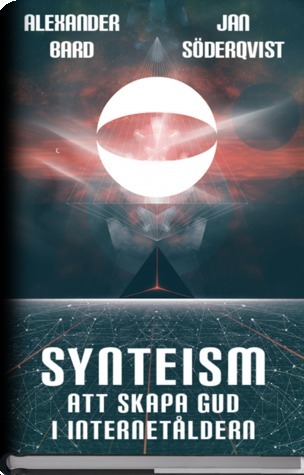 Let us know what’s wrong with this preview of Synteism by Alexander Bard. Cyberfilosoferna och framtidsforskarna Alexander Bard och Jan Söderqvist är tillbaka. Efter Futuricatrilogins träffsäkra profetior har de nu formulerat en metafysik för den digitala tidsåldern. Det här är boken som vågar beskriva individualismen som en religion och måla upp verkligheten som i första hand virtuell, snarare än fysisk. På samma gång som författarna vill skaka Cyberfilosoferna och framtidsforskarna Alexander Bard och Jan Söderqvist är tillbaka. Efter Futuricatrilogins träffsäkra profetior har de nu formulerat en metafysik för den digitala tidsåldern. Det här är boken som vågar beskriva individualismen som en religion och måla upp verkligheten som i första hand virtuell, snarare än fysisk. På samma gång som författarna vill skaka om läsarens själv- och världsbild, är avsikten att förmå passiva mottagare av framtiden att i stället bli aktiva deltagare. To ask other readers questions about Synteism , please sign up. I had no idea what this book was going to be about. I had never heard of ‘Syntheism’ or the ‘burning man festival’ and out of habit I typically avoid anything that smells of religion pretending to be worthwhile, real or meaningful. Though, I must say after having read this book I absolutely loved it and found it incredibly engaging and enjoyed listening to how they told their story. It’s hard for me not to like a book that relies on so many of my favorite books and philosophers in its story tell I had no idea what this book was going to be about. I had never heard of ‘Syntheism’ or the ‘burning man festival’ and out of habit I typically avoid anything that smells of religion pretending to be worthwhile, real or meaningful. Though, I must say after having read this book I absolutely loved it and found it incredibly engaging and enjoyed listening to how they told their story. It’s hard for me not to like a book that relies on so many of my favorite books and philosophers in its story telling. The only books I have ever read three times (with the exception of one other book) are Hegel’s ‘Phenomenology of Mind’ and Heidegger’s ‘Being and Time’. Both of these books and thinkers play a large role in the telling of this story as well as a host of most of my other favorite books and philosophers. The negation of being is not being, but the negation of ‘not being’ is not ‘being’. That is a negation of a negation is not necessarily an existence or an affirmative. When one unpacks a statement such as: ‘I doubt that’, the doubt always means a negation it never means an affirmation. Heidegger (and I think the authors quote him in ‘Syntheism’ to that effect) in “Intro to Metaphysics’ will say the most important question is ‘why is there something instead of nothing’, and this book will create a religion non-religion from this kind of thinking. The authors get to their religion non-religion by negating Spinoza’s pantheism with atheism through a dialectic arriving at ‘Syntheism’ as a synthesis of the two through the dialectic. It’s important to note that Spinoza’s ‘Ethics’ and his ‘the multiple as one’ is a reaction to Descartes methodology and Descartes’ ‘cogito’, ‘I think therefore I am’, or ‘thinking as being’. All of this is discussed within this book. Kant also takes a major role in this book. For Kant, he will always make thinking about something, so therefore it is not ‘I think, therefore I am’, it is ‘I think about something, therefore I am’. These authors do talk about Hume and Leibnitz but they don’t really mention that Kant is synthesizing their two systems into one rational system, and for Kant it will be a trans-rational system enabled by what Kant will call transcendental deduction. Hume thinks all knowledge is experience, and Leibnitz thinks all knowledge comes from thought. Also, Hume thinks that cause doesn’t exist and all we are capable of understanding is the effect (we can see the billiard ball move when struck, the effect, but we cannot see the cause, we hypothesize it through correlation, expectation and habit). Kant will put the intuition into the subjective observer by intuiting within us the concepts of space, time and causation and thus split out the noumena from the phenomena (the thing in itself, the thing without space, time, causation or context). There’s an evolutionary development (evo devo) vibe to what Kant is doing, but of course, he can’t say that because he comes before Darwin and Kant will say ‘there will never be a Newton for blades of grasses’; these authors will go full on evo devo in their narrative and will try to defend their thesis with it. The atomization of the individual from the world is exemplified with the cogito and to get it Descartes must assume away the world by not trusting anything of the world since it could be a demon except for the mind itself and God would never play that kind of trick according to Descartes. Kant rationalizes the rational and makes our understanding meta-rational (rational about the rational itself, thus making it a trans-rational and taking away its own foundation from itself, at least according to these authors). Liberalism, a valuing of the individual as an individual, becomes ‘humanism’ which will lead to a devaluing through the purely rational (and I think the authors will start Humanism with Kant, and liberalism with the Enlightenment) and the authors understand the problems with Capitalism and how it can ruthlessly exploit the individual through using the individual against himself leading to an inadequate utilitarianism or a hyper rationalism of Kant’s humanism (at least according to these authors). The authors quote Marshall McLuhan’s ‘the medium is the message’. Whenever one sees that quote one can change it to McLuhan’s more favored interpretation to ‘the medium is the massage’, meaning that the culture makes the reality (as Pascal said, according to Hubert Dreyfus in his ‘Being and Time’ lecture on Heidegger’s book). The authors start with Heidegger before they get to Nietzsche. So, I will too. I’m not going to stick strictly to what these authors say about Heidegger because I really just want to cut to the quick what they mean. Heidegger will say we are thrown into the world not of our own design, and we are constantly distracted and confused by the ambiguity of our every situation and we realize our most authentic existence and being by understanding our own being unto death, and it is our care (German: sorge) that gives us our ontological foundations. I’m summarizing Heidegger from ‘Being and Time’. Note that our ‘being as care’ is always about the future and that’s what Heidegger is most concerned with in ‘Being and Time’, but shortly after ‘B&T’ Heidegger will make our being about will and the ‘now’ not the future as Nietzsche essentially does with ‘will to power’ and as these authors will too. (For the pedantic among us, Spinoza makes ‘conatus’ (striving) as his force, Schopenhauer makes it ‘will’, and Nietzsche makes it ‘will to power’, and Hegel will make his ‘force’ fundamental and a cause of itself through his dialectic culminating in absolute spirit or knowledge becoming aware of itself. Oddly, these authors barely mention Schopenhauer while excessively appealing to psychoanalysis that permeates Schopenhauer’s ‘Will and Representation’). Heidegger, in ‘B&T’ makes meaning about the future as seen in the present filtered by our past; these authors make our meaning about the ecstatic infinite now in the mode of Nietzsche’s Dionysian man (the emotional self) as opposed to the Apollonian man (our rational self) and would embrace Nietzsche’s Ubermensch (Superman) as the person who lives for the now such that if life were to be forced to be eternally recurring they would live life as an infinite set of now(s) and anything that takes the individual away from their primal instinctive self is to be avoided. The authors also take away Einstein’s block universe; they appeal to psychoanalyses; they like Pierce's pragmatism; they appeal to semiotics and Dawkins’ memes; prefer Bergson’s lived time but not his elan vital; they value equality over power; thankfully belittle Ayn Rand’s Objectivism (the authors realize the fault with A=A, and have a section on how time, context, and connections determine reality); they sort of like Adorno’s ‘Dialectics of Enlightenment’; quote from Fukuyama multiple times (in my opinion Fukuyama is of the Frankfurt School too); believe all the silly things in Becker’s ‘Denial of Death’ even though they don’t quote from the book but they think in those silly terms of desire and the death drive, castration and the return to the breast; delve into free will, contingency, and necessity. They do all these things in order to defend the religion non-religion they’ve adopted and which they call Syntheism. Adorno wants to believe in myths as true even when they are known not to be true because they believe a false belief is better than a relativism of any kind. Adorno’s fellow Frankfurt school advocate Fukuyama (in his book ‘Identity’, a book not mentioned in this book) wants to create a melting pot of all identities from each of the individuals and have all the individuals identities blend into the prevailing privileged identity. These authors call for a similar thing but hypothesize the internet is doing that for us. They don’t like relativity but use relationality as their surrogate for absolutism. The authors use all of the above and mix it together such that they come up with a Sam Harris version of psychedelic spirituality that looks outward not inwards as his did as espoused in his book, ‘Waking Up’, and these authors think drugs and the internet are the gateway antidote for meaning in a universe that is void of meaning except for the meaning that we as humans bestow upon it ourselves, and they are happy to meld our individual identities into the one melting pot formed by the ‘network of users’. (I always thought Sun Computer’s slogan ‘the network is the computer’ was brilliant but Sun Computer never understood that it would mean their own demise). There’s a movement going on now currently within the dialectic that the authors invoke that makes me realize that there is an inevitability to what is currently transpiring. For those who want to ‘make America great again’ and return to a magical world that never was are just being slowly replaced by what is happening within the world and this book gets at the inevitability of that conservative (and sometimes fascist) movement within the unfolding dialectic. The authors have hints of that in this book in their beginning chapters and I got comfort from reading and understanding this. They authors don’t fully grasp what they are saying, but I got that optimistic feeling from this book. At the time the authors wrote this book, 2014, I would have agreed with their foundational statement that the internet needs to be completely free and transparent, but as I read yesterday, for example, GoFundMe no longer allows for anti-vaccination funding, and at the time of this book and I would have been against that, but today it makes me glad, and at the time of this book I never would have thought one crazy man with a psychotically enabled twitter account could get people to believe insane things like ‘climate change is a Chinese Hoax’, or that ‘alternative facts are real’ or even that ‘vaccination causes autism’. Sometimes we need to de-platform Alex Jones and his conspiracies, climate deniers, Sandy Hook never happened truthers, Nazis, and vaccination deniers but in the end those kinds of people are disappearing slowly and are forced to act as an encircled coyote within a cave with nothing left to do except lash out ferociously while howling at the moon. Overall, from this book I can walk away with the hope that the future is going to be better than the present where madness and the false hope of returning to a mythical past will be supplanted by history becoming aware of itself through its own absolute spirit. (yes, Hegelian speak, but the ‘make America great again’ dead enders remain stuck in the past while the world changes, and this book gets that concept overall). I mean, it was interesting, although I don't think I understood anything. 3 stars on average. Half is 5 star brilliance, half is 1 star wordsallad. Most definitely worth it for the brillant parts and for the courage to stretch and spectacularly fail in the wordsallad parts. Perhaps the brilliance would be possible without the fail.